Why not give your loved one a unique gift this Valentine's Day, a beautiful candle? Or you can use it as a table centrepiece, for that romantic candle-lit dinner. 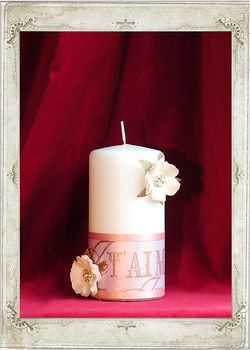 Adorned Candle Boutique presents 'Je T'aime'. 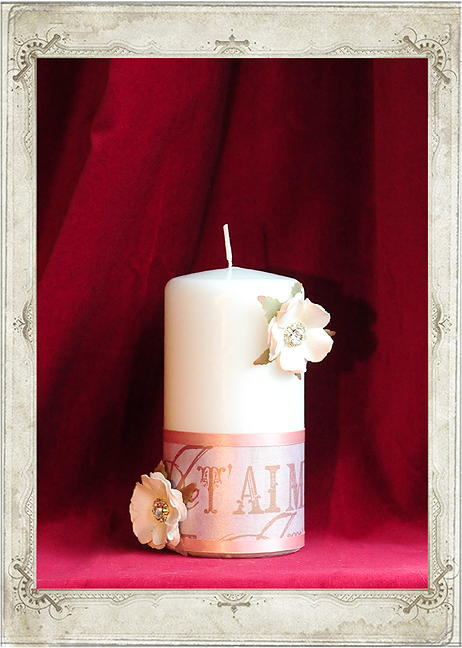 This pretty Valentine's Day candle is adorned in the words 'Je T'AIME' (I love you) and is trimmed with two dusty pink satin ribbons. 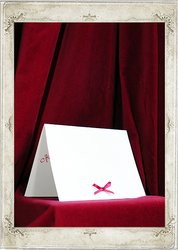 It features two beautiful flowers, each accented with a round clustered diamante embellishment. 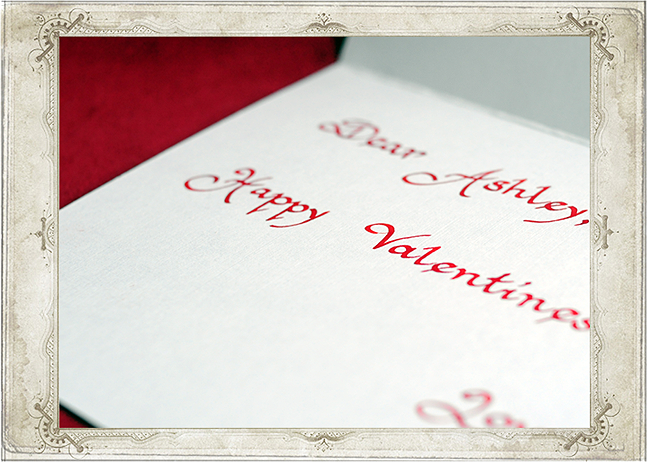 With a complimentary note card displaying your own personalised message, hand written in beautiful calligraphy, this is sure to impress on Valentine's Day.